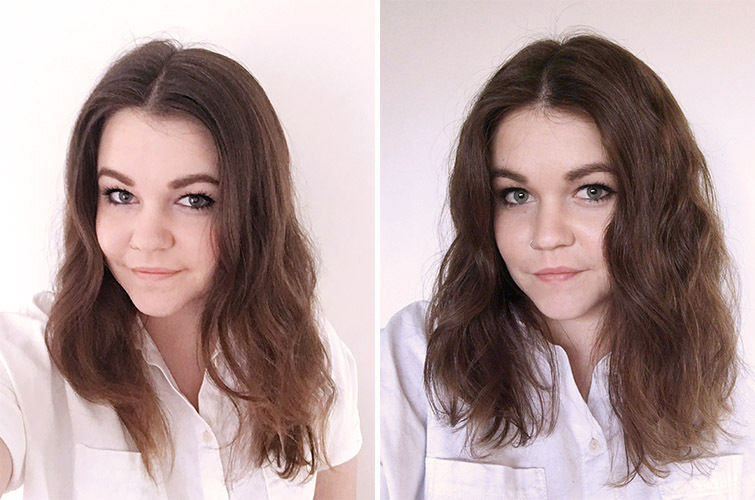 It is a truth universally acknowledged that most people would love to be able to wake up and leave the house with their hair looking perfect — no effort involved. For me, this has never been a reality. I have vaguely wavy, kind of frizzy hair that falls short of ever looking “done” on its own. Thus, my wand curler and a salt spray have always been my go-tos for making my hair look presentable. Lately, however, I’d been feeling…very done with trying? Through with spending an extra half an hour in the bathroom curling my hair when I could be drinking coffee in the sun before work? Tired of the effort? All of the above, really. 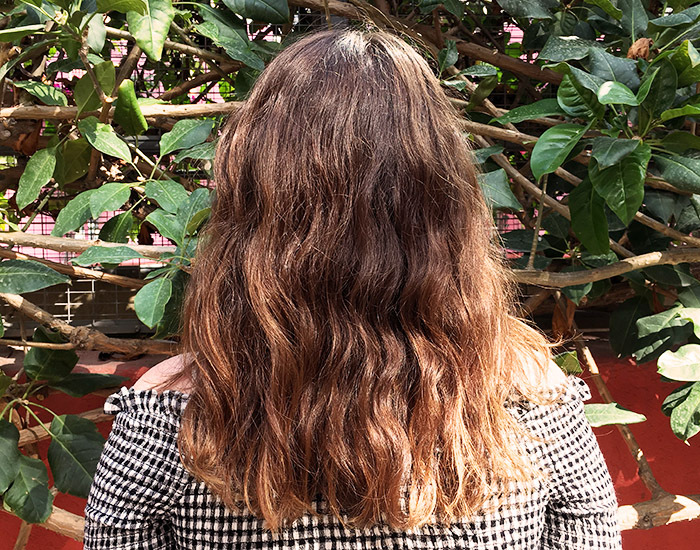 That’s when I heard about a new hair treatment at Striiike salon here in Los Angeles that gives you permanent beach waves for three to five months (depending on your hair texture). So, while contemplating the New Wave treatment, I thought to myself, “You mean I could literally wake up and go without looking like I’d just rolled out of bed?” And then I booked the appointment. I was lucky enough to meet Bri, an absolute hair artist in the most literal sense of the word. Bri explained to me that this chemical process uses an entirely different chemical than your mom’s perm from the ’80s did. It causes far less damage and breakage, and can actually soften brittle hair. "I love the fact that it improves the texture of many different hair types so that they can be air-dried and look amazing." The process is also much more personalized, and which is why I referred to Bri as an ultimate artist. 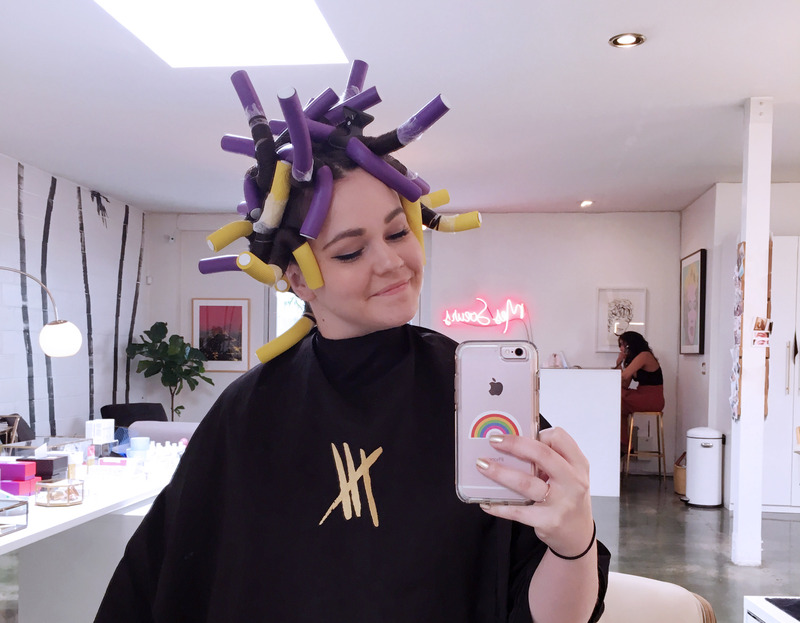 For each individual client, she chooses the size of the foam rod depending on the width of curl desired. She then separates out individual sections of hair depending on where the waves should fall, considering the natural pattern of your hair. "We found that the majority of our clientele wants to wear their hair [in a] more natural, effortless, wave. But many realized that they needed a little extra umph! 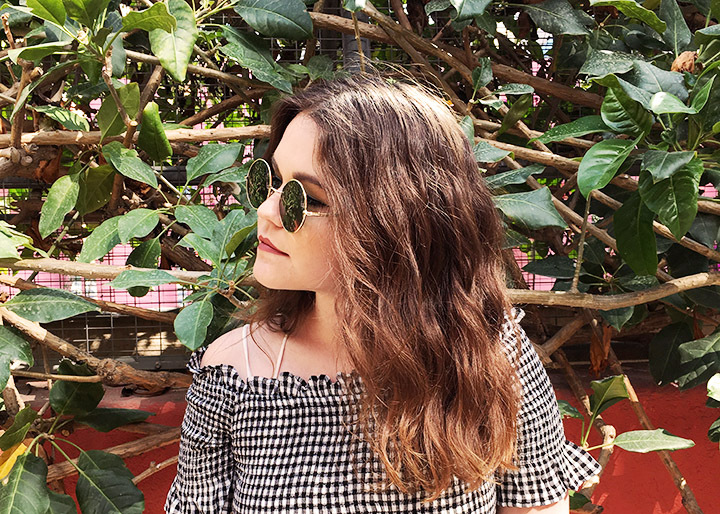 The wave gives texture and body to hair so that you can wear your hair more effortlessly, [with] less time and work to get that undone cool girl wave. We first started experimenting on Jenn and Kristie and soon every client wanted one; they're our best advertising! The wrapping process took about an hour, and by the end of it, I looked like an alien Medusa. But, like, a cute alien Medusa? After my hair was all wrapped up, it was time for the treatment. I spent about a half an hour in the sink while Bri applied everything (she left the chemical on my hair for a bit less time than the norm because I had bleached my hair two years ago and my hair was still recovering — something to consider if you’re wanting the treatment, too). After a good rinse and a generous application of some Bb. Don’t Blow It Fine (H)air Styler product, my hair was ready to air-dry its way to beach wave perfection. I didn’t have to do a thing. I went from wet dog to effortless waves in 30 sweet minutes. I was very genuinely shocked that my shapeless and relatively blah natural hair now had uniform body and a consistent wave pattern. The wave! The body! The texture! I was seriously amazed that my hair felt softer than usual rather than brittle after the treatment, too. It’s been nearly a week since I got a treatment, and this morning all I did was hop in the shower, comb through my hair with a wide-tooth comb, add some Bb. Don’t Blow It product to my wet hair, scrunch, and let the air do it’s thing. By the time it was dry, my hair genuinely looked it did the day I first got the treatment done. And the fact that it will look like this for the next 3-5 months? Crazy. A beauty miracle, I dare say.